Logitech Harmony remotes are perennial favorites around these parts. Their programmability makes them an ideal solution in a home theater with an array of equipment, and their emphasis on activity-based usage can go a long way toward making a home theater easier to use, an especially important consideration for those of us with friends and family who may not share our geeky patience. It has been awhile since Logitech released a new higher-end remote control, but it sounds like that is about to change. 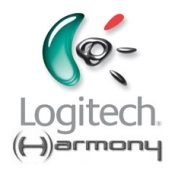 Evidently AVS Forums member, ashoemaker, was cruising his/her local Best Buy and stumbled across an unexpected treat in the form of the Logitech Harmony Touch, an unannounced and previously unheard-of new Harmony remote control. Although ashoemaker posted some pictures of the box on the Best Buy shelf, there is not a whole lot to go on at this point spec-wise, but it appears that the remote comes with a charging dock and gets its name from the finger swipe-supporting touch screen that appears to dominate the upper half of the remote. If ashoemaker is correct on the $249 price tag, then the Harmony Touch looks set to settle into the Harmony lineup between the Harmony One Advanced and the Harmony 900. A new Logitech Harmony remote control, the Harmony Remote Touch is now available for sale at retail. According to a post on the AVS Forum, the new remote control, was seen at Best Buy this morning. With a candy bar form factor and a touch screen in the middle, it appears to be a cross between the current Harmony One and the Harmony 1100 Advanced Universal remote (the one with the 3.5″ touchscreen).